I'm sure most of you are part of the Beauty Insider program at Sephora. So for those of you who have over 500 points, hurry over there to get this great Benefit giveaway. 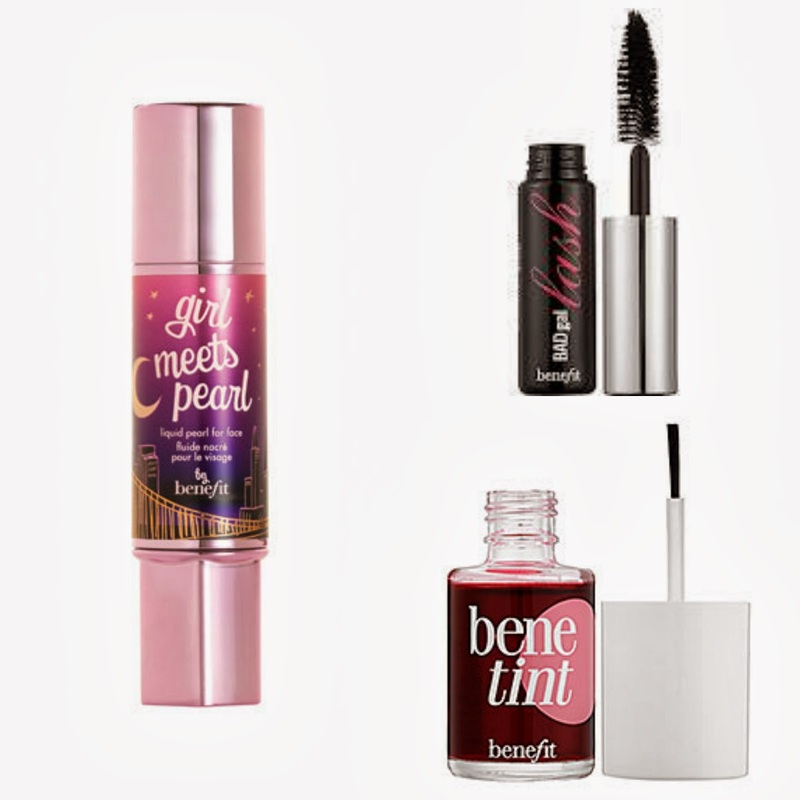 It comes with a full size Girl Meets Pearl and minis of the Bad Gal Lash and Bene-tint. These were all products I wanted to try and I was so glad my mom cashed in her points for me! Girl Meets Pearl highlighter/illuminator -- meant to be put over your makeup for a shine/shimmer. I tried it on my cheek bones, nose and forehead and it provided a really nice glittery look. Kind of a bonus product to use along with your bronzers and blushes. Bad Gal Lash mascara -- a good solid mascara that's great to have in a small size for travel. Bene-tint -- I'd been wanting to try this for a while in any of the various shades. You really only need a little bit to go a long way for some color on your cheeks. What are your favorite Benefit products?